Muzium Sultan Abu Bakar is located in Pekan, the Royal Town of Pahang, on the East Coast of Malaysia. The museum is located along the banks of the Pahang river and there are many traditional Malay houses in the vicinity, giving the district an idyllic and semi-rural feel. Pekan’s main street alongside the river is lined with old Chinese shophouses that date back to the early 1900s. The town was formerly the British Colonial Government’s Administrative Centre, and dotted around the area are some beautiful colonial-era buildings. Built in the late 1920s by the British Colonial Government, it was the official residence of the British Resident, but later served as a base for Japanese military officers during the Japanese Occupation. 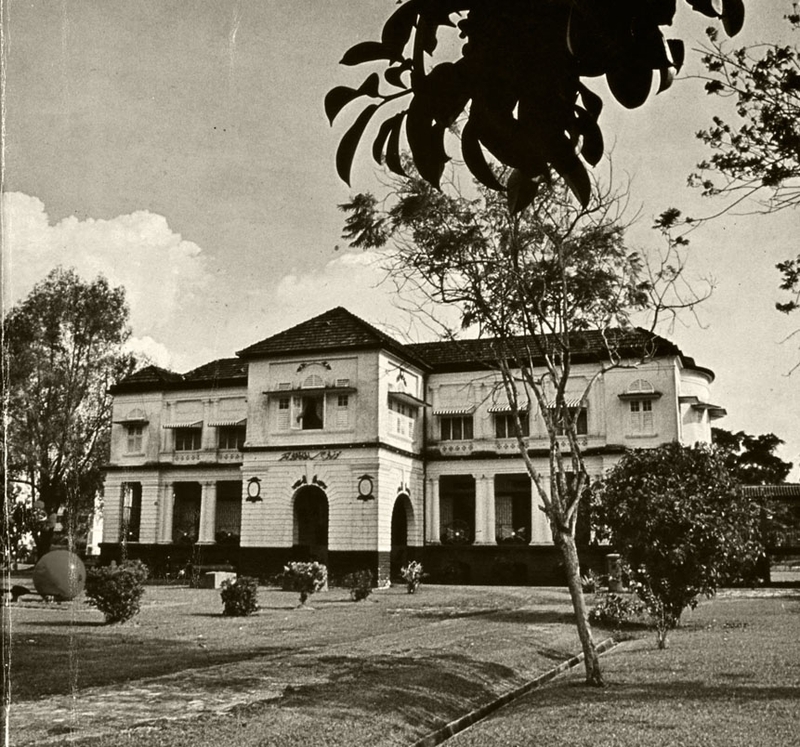 After the war, it was handed back to the British; and in 1965, became the formal palace of the late DYMM Sultan Abu Bakar where important state ceremonies were performed. The building was then converted into a museum in 1976. However, in 1997, the museum’s artefacts were transferred to Kuantan, the state capital; and the building was no longer utilised and left to deteriorate. 2008–2012 The first half of the project's timeline involved the restoration of the abandoned building, followed by renovation work to adapt the space for the museum galleries. New facilities were also added: a workshop building, an auditorium, a cafe, and a 2½ storey office block. William Harald-Wong joined the museum curation team headed by Museum Director and Chief Curator, Dato’ Ahmad Farid bin Abdul Jalal, early in the project, and thus was able to contribute ideas in terms of the overall concept, design direction, research and other areas. To uplift the local economy by creating a integrated cluster of quality museums* to draw visitors and holiday-makers, especially those visiting or passing by Kuantan, the state capital, a half-hour's drive away. *Besides Muzium Sultan Abu Bakar, there are four other museums around the area: Muzium Masjid Sultan Abdullah–Islamic Art Museum (opened in October 2016), Botanical Museum, Children's Museum, and the Watercraft Museum. The museum buildings and grounds underwent major construction work, with new link bridges and landscaped gardens. The taxidermy tiger in the picture was an artefact left over from the first museum. The new museum comprised five galleries: The Pahang Sultanate, Fashion & Textile, Archaeology & Orang Asli (Aboriginal people), Ceramics, and Arts & Culture of the East Coast. A workshop building, an auditorium, a cafe, an office block and several sculpture gardens were added to the museum complex. (After a second major renovation between 2016–early 2017, the galleries have been updated to: The History of Pahang and the Malay Sultanate, Ceramics, Archaeology, Islamic Art and Keris. The other galleries have moved to the State Capital). A shallow infinity pool and water fountain for children replaced the hot tarmac of a car park. 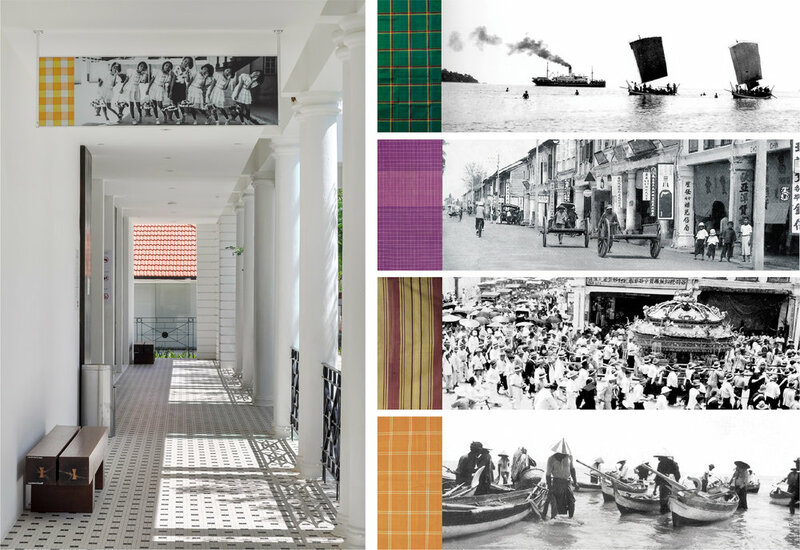 The Pahang Sultanate Gallery: A section dedicated to the Royal Pahang Polo Club. The installations of intertwined polo clubs reflect the intense rivalry and rush of adrenaline experienced during a polo match, especially when some of the world’s top polo teams visit Pekan annually to battle for the championship trophy. The Pahang Sultanate Gallery: A mounted deer head or set of antlers used to occupy a place of pride in the living room of traditional Malay houses. Given that many of the objects with historical and cultural value are owned by other long-established museums in the north (neighbouring states of Terengganu and Kelantan), Muzium Sultan Abu Bakar has embarked on an artefact acquisition programme. However, aside from historical artefacts, the director of the museum (Dato’ Ahmad Farid) also decided to include other exhibits that can add to visitors’ experience. Dato’ Ahmad Farid included paintings, installations, sculptures, and a variety of other art forms with the intention to increase appreciation of art and to stimulate one’s senses and mind, particularly among the locals. This is also a step taken to support local artists, textile designers, and craftsmen where possible (although the animal and orang asli sculptures were made in Indonesia to benefit from their craftsmen's skill). Careful consideration was given to the creation of the museum’s logos and visual identity in order to make sure that they carry the appropriate cultural, historical and geographical relevance. The logo draws inspiration from the location of the museum, the east coast of Malaysia, and incorporates three things that the East Coast is best associated with: the South China Sea, the perahu (traditional fishermen’s boat) and Malay woodcarving. The result is a logo that is strongly rooted in the East Coast and that reflects the customs and traditions of the local community. LEFT: The East Coast has miles of sandy beaches, resonant with the pounding waves of the South China Sea. CENTRE: The bangau is a decorative guard on a traditional fisherman’s boat that provides support for the mast when not in use. “It represents the finest example of Malay artistic form which serves as a visible symbol of the links between Malay culture and the sea.”—Syed Ahmad Jamal). RIGHT: The East Coast is popularly known as the ‘Cradle of Malay Culture’ where traditional arts, especially woodcarving, flourish and reach its highest aesthetic achievements. The elephant plays an important role in the history, mythology, and royal rituals of the State of Pahang. The state emblem incorporates a pair of elephant’s tusks to reflect this. The logo for the museum shop takes a cue from this and makes the elephant its main theme. It combines the rear of an elephant from an old etching, and a front that is done in playful shapes and colours. One of the original intentions for the museum shop was to introduce educational or science-based toys not previously available in this part of the country. Hence, the logo was designed to appeal to both parents and children. According to legend, the emblem of the State of Pahang was derived from a tale of two warring brothers. Wan Ahmad (later known as Sultan Ahmad Al-Muadzam Shah) was strategising the defeat of his brother, Wan Mutahir, while drinking coffee. After his victory, the inspiration for an emblem came in the form of a coffee leaf, which symbolised his family motto, and two ivory tusks that crossed at the bottom of the leaf. The elephant tusks symbolised power as the elephant is considered to be the most powerful and biggest land animal. The elephant's expediency as a royal carriage was also well-recorded in Malay history. The burung belibis, also known as the lesser whistling duck (Dendrocygna Javanica), is a migratory bird that often makes its presence known in Pekan through its distinctive 2-note wheezy calls. The bird was chosen as the mascot of the museum café because local children are prone to mimicking its loud whistles, and a flock of the gregarious ducks is quite a sight for sightseers who visit. (The café does not serve duck meat, only in name). The logo is sometimes set against a background of green patterns, which was inspired by the grid pattern of the rice fields and the Tenun Pahang Diraja (Royal Cloth of Pahang), the state’s most famous woven silk fabric. Rummaging through the old artefacts in the museum’s store, we discovered a metal plate with the old logo of Lembaga Muzium Negeri Pahang (Pahang State Museum). The logo had a lot of character—beautiful and quirky, especially in the typography and the Jawi script used—and a decision was made to revive the symbol as the official logo of the organisation. Digital versions were created based on the metal logo and its variations found on old stationery. To give the museum an integrated visual identity and a seamless transition from the exterior grounds into the interior spaces, wood was used as the unifying medium because of its importance to the Malay community. Woodcarving is one of the most important Malay arts of the East Coast. 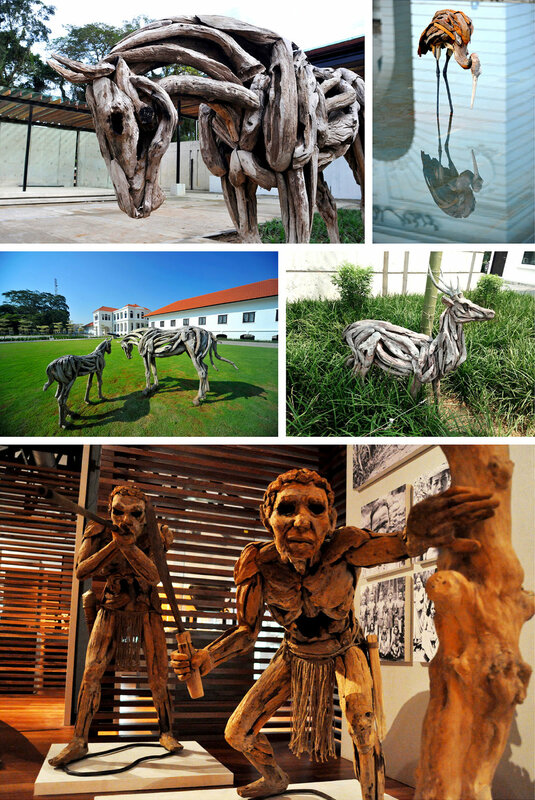 On the grounds of the museum is a variety of wood sculptures depicting local animals and birds: the horse (Pekan hosts the Royal Pahang Classic polo championship every year), crane, deer and the elephant. The elephant was delivered to the museum much later as it required a very large quantity of driftwood to produce. 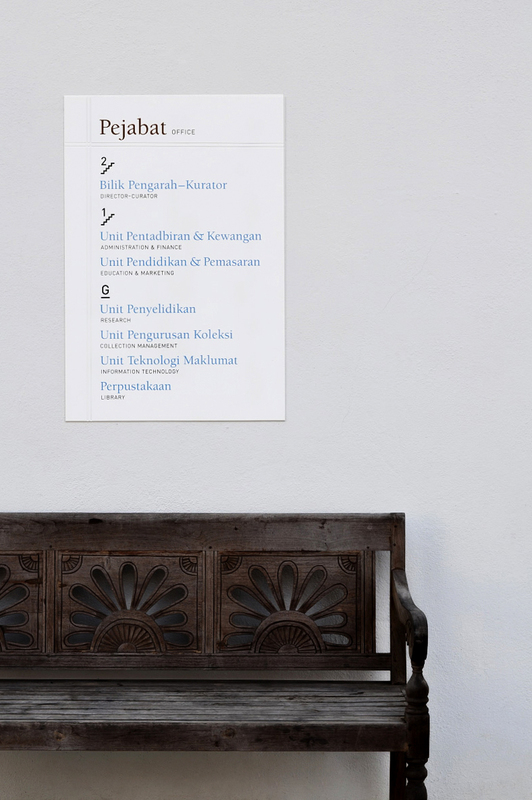 We designed a signage system that is both effective and reflective of the local Pekan culture, as well as of the aspirations of the museum. This was done through careful selection of typefaces and the incorporation of local traditions. The checkered pattern of the Tenun Pahang woven silk cloth appears as simplified grid lines, either engraved or silkscreened in gloss on the matte white surface of the sign panels. A museum should be considered as an educational institution because it is unique in communicating information to society through its collections of historical antiquities, cultural artefacts, and information about phenomenon regarding the natural world. ITC Berkeley Oldstyle was selected as the primary typeface for the museum because of its legacy and its role as a knowledge centre. The font, originally named 'Californian', was designed by Frederic W. Goudy in 1938 for the University of California Press in Berkeley. The classic elegance of Berkeley Oldstyle complements DIN, a contemporary typeface which is synonymous with German design and efficiency; and is well liked for its lean, geometric lines. The directory stands in front of the new workshop building. The building opens fully on three sides. Pictographs (icons) were specially designed for the museum in order to better reflect its identity as an establishment that walks a fine line between modernity and tradition. Several pictographs carefully unify an element from the old and the new to create a unique fusion. Sifting through old photographs of Pekan, we discovered a cut-out sign in Jawi script ‘Muzium Sultan Abu Bakar’ on the façade of the original building, which has since gone missing. We took great care to replicate the original script and mounted it back to where it originally belonged. As the building was originally designed to be a residence, some of the entrances to the galleries were small and obscure. Large posters were created to draw attention to these gallery entrances and to help visitors find them with ease. The posters also served to reinforce the museum’s identity. Images from the photo archives were retrieved for use on banners hung along the corridors, giving the visitor a sense of time and place. It was also an opportunity to show the classic patterns and colours of the Tenun Pahang woven silk cloth. The Museum Sultan Abu Bakar was conceptualised as a museum in a garden, and appropriately named The Intelektual Garden*, an open-space concept which signifies open-mindedness, the inception of ideas, imagination and creativity. The museum’s sculpture garden, the lawn with a cluster of old banyan trees, the shallow infinity pool and water fountain for children, the riverfront, and lush green surroundings provide Pekan’s residents with a restful environment for relaxation and an opportunity for them to engage with a museum. This is perhaps one of the most successful aspects of the museum’s overall endeavour. Muzium Sultan Abu Bakar won Gold and Grand Award Finalist in the prestigious Design for Asia Awards 2015 in Hong Kong. It was Malaysia’s first Gold in the Award’s 12-year history. The project did not make it into the final ten Grand Awards—our modest museum was up against stellar competition the likes of Issey Miyake, Samsung, PMQ, Taikoo Li Chengdu, Himeji Castle Restoration Project, etc. However, the museum was selected as one of the eight Grand Award Finalists (below).